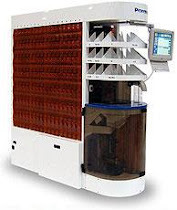 "Visual Pharmacy Plus": SafeRx™ "Secure Off-site Backup"
SafeRx™ is an offsite backup solution designed by AbacusRx for our pharmacy customers and other healthcare organizations which look to establish a secure backup solution. With SafeRx™ your data will be safe and ready to get your business back up and running in the even of loss of critical data. What would happens if your pharmacy data was lost due to a hard-drive crash, accidental deletion, theft or an unforeseen catastrophe? What if you began to restore your data and found that your data set was not there, what happened? What happens is you are affected by one of many natural disasters? A solid disaster recovery plan can establish a sense of security and keep your pharmacy afloat in the event of an emergency. The answer is Abacus’s proprietary system SafeRx™, an automated backup solution providing encrypted offsite data storage and recovery. 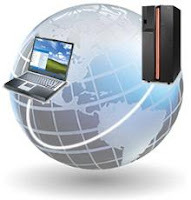 A remote data backup and recovery solution that is effortless and worry-free to manage. 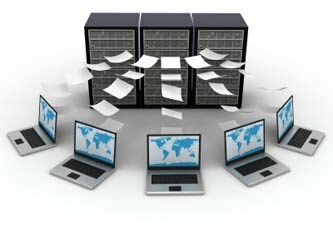 State-of-the – art data backup software that is secure, fast and easy to set-up. The AbacusRx SafeRx™ offsite back solution is fully integrated with your Visual Pharmacy Plus™ software and satisfies very specific industry requirements. SafeRx™ is integrated with Visual Pharmacy Plus™ which is our premier fully integrated, real-time, prescription processing software that provides today's retail pharmacies all the tools necessary to handle the complexities of modern prescription processing. The system offers a high degree of functionality combined with an easy-to-use graphical interface. Whether you fill 50 or 5,000 prescriptions a day, the AbacusRx Visual Pharmacy Plus™ software handles it with ease. The following Modules are included as part of your Visual Pharmacy Plus software package. Most pharmaceutical software vendors will either charge you $1,000's extra for these modules, plus a monthly fee for each or they do not offer them at all. These are included Free. CONTACT US TODAY AND REQUEST A FREE DEMO!